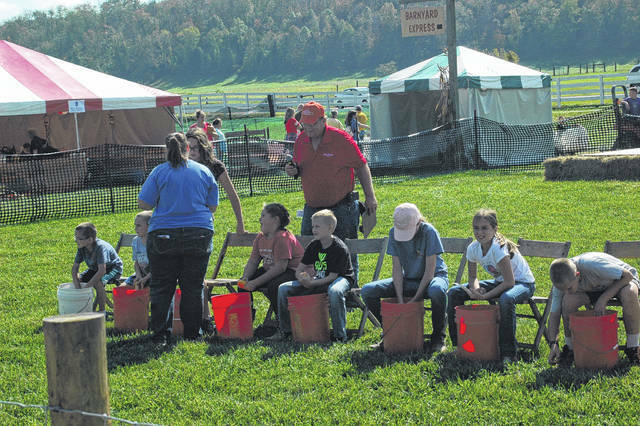 Friday afternoon brought many to the Bob Evans Farms for the 47 annual Farm Festival. A regular favorite of the festival is kettle beans, cooked on site. 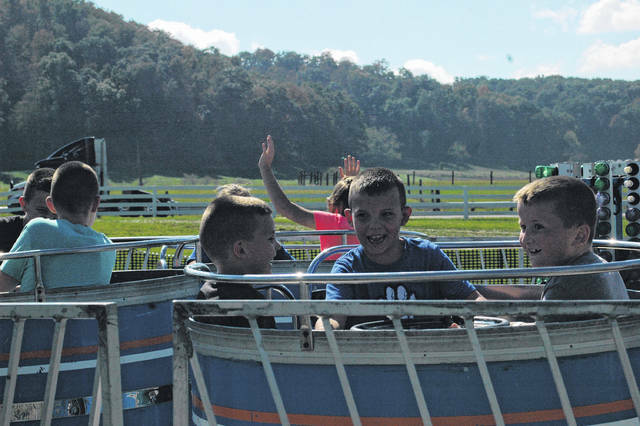 Several young kids enjoy the teacup ride, spinning as fast as they can. Children have plenty of chances and activities to have fun, including this corn-shucking contest. 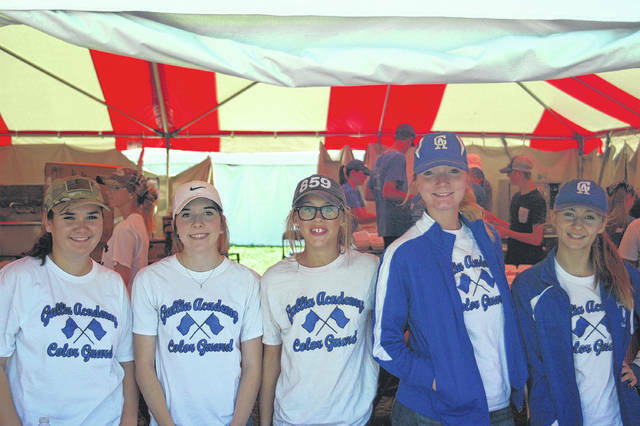 Gallia Academy High School Marching Band members were onhand selling apple dumplings and ice cream. 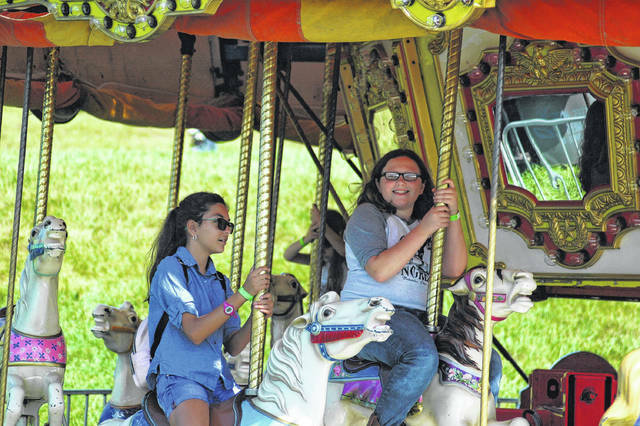 The Ferris Wheel was a new addition to Farm Fest and it was a big hit with younger patrons. The Merry-Go-Round was a new addition as well. 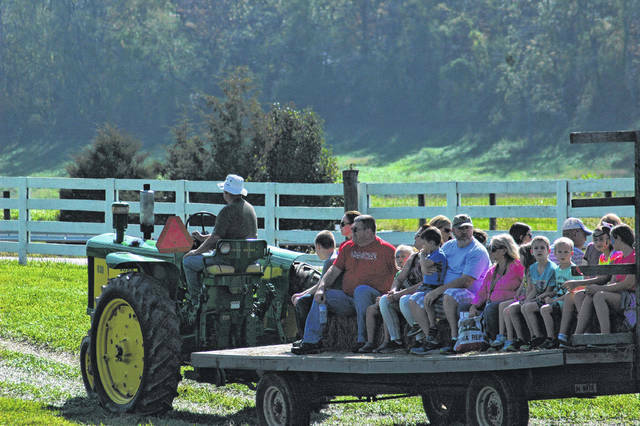 Hayrides are popular with families, giving them a chance to have a seat and take a break. 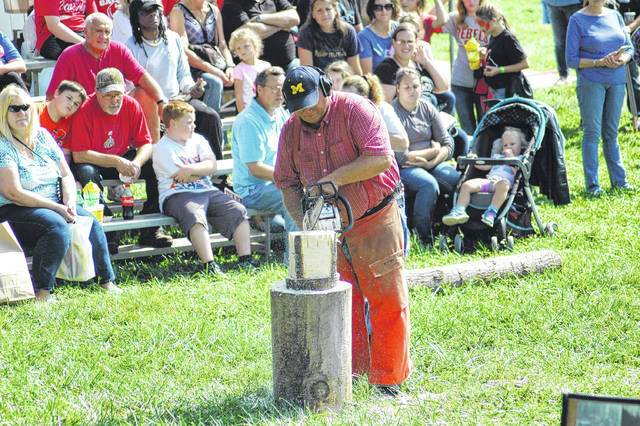 The Great Lakes Logging Show is a perennial favorite at Farm Fest, drawing crowds with chainsaw demonstrations and ax throwing. Members of River Valley High School FFA volunteered their time by running the tractor train ride, pulling kids around the festival. 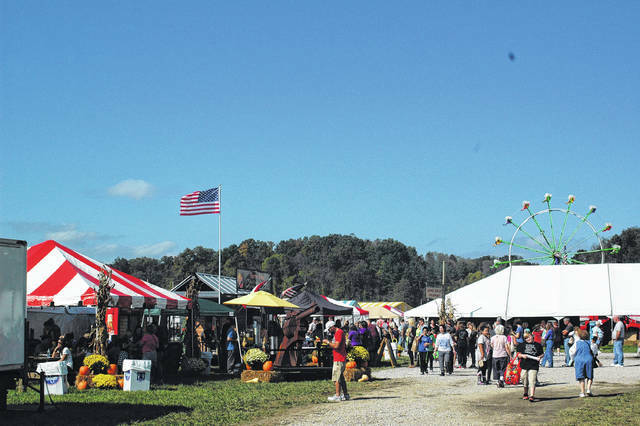 Many vendors were on hand under the big top tents that have come to characterize Farm Fest. Friday provided a sunny and windy day for October. 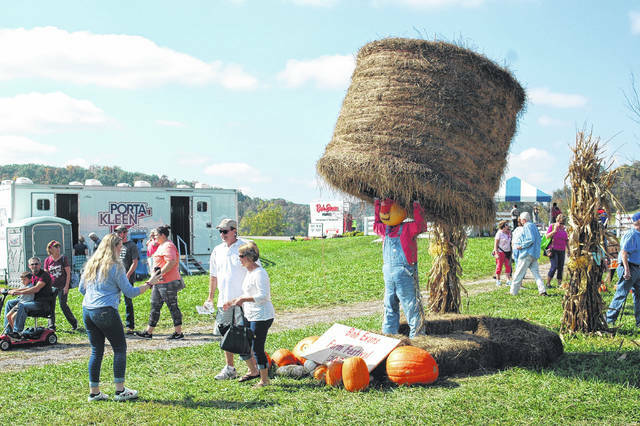 On the restaurant side of the field, a “hay man” was popular for pictures with tourists. 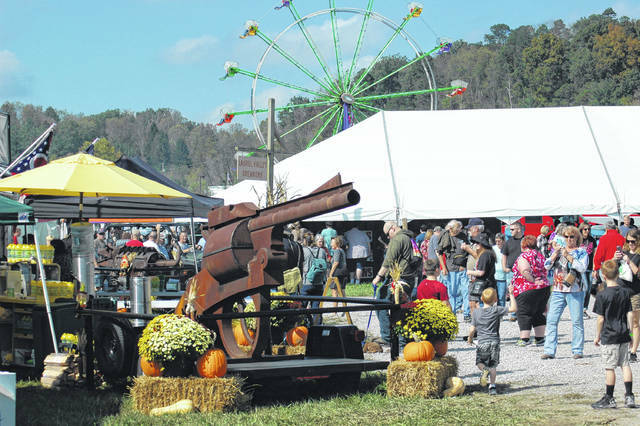 A giant pistol-shaped smoker at Farm Fest. The causeway of Farm Fest was crowded Friday Afternoon as festival goers sought kettle corn and other treats. 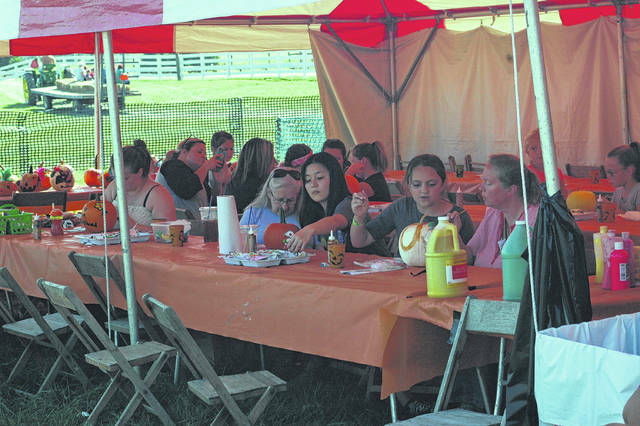 Some of the kids activities included painting pumpkins. 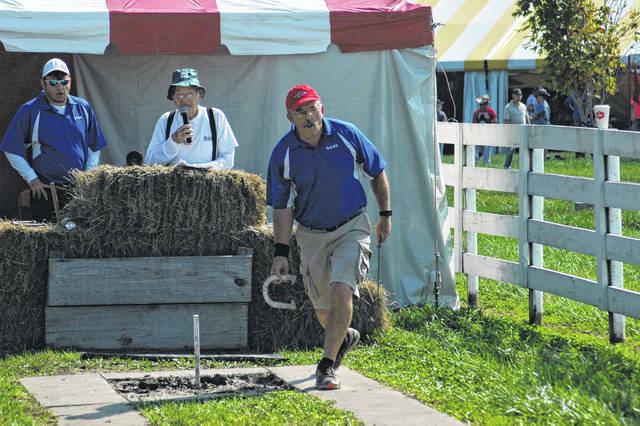 A classic demonstration at the Farm Fest is horseshoe throwing. 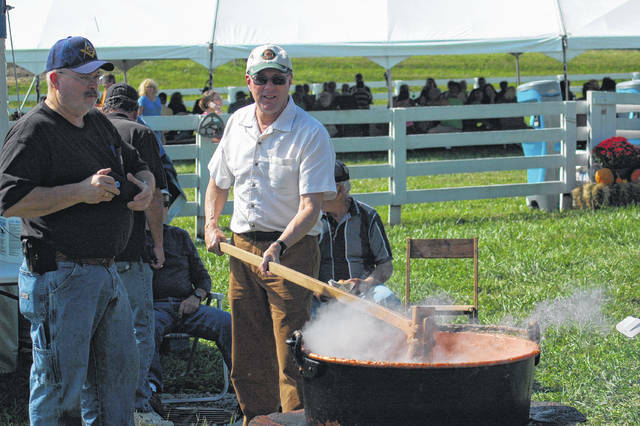 Making apple butter requires a constant stir, as these faithful attendants keep the butter moving. 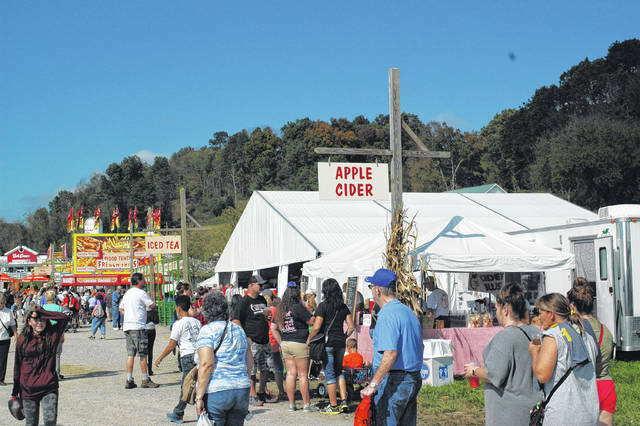 Apple cider has been popular with festival goers in the past, and it was present this year as well. 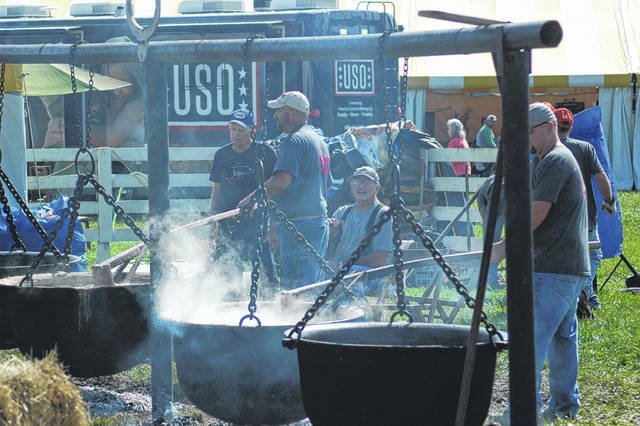 RIO GRANDE — For nearly 50 years, there’s been a festival held on the Bob Evans Farm. While there have been rumors of this being the last festival, Bob Evans employees insist that there will be at least 50 Farm Festivals in Rio Grande. 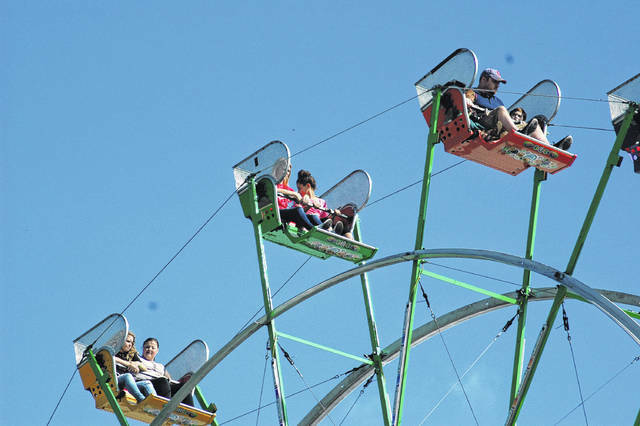 This year does host a number of firsts, including amusement rides for young attendees. 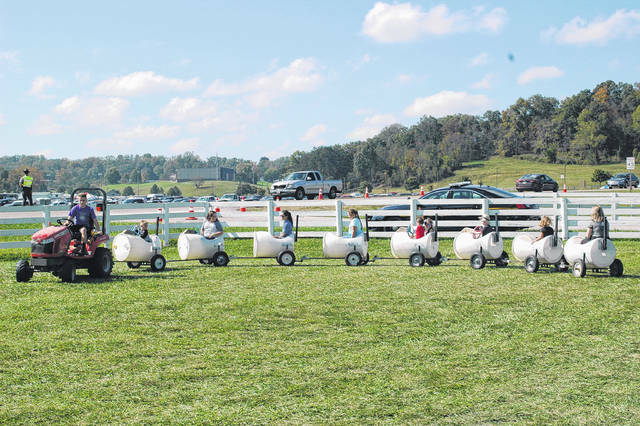 Despite the fear of many that the rides would change the character of the festival, they are few in number and relegated to one corner of the grounds, and provide another option for families bringing young children. 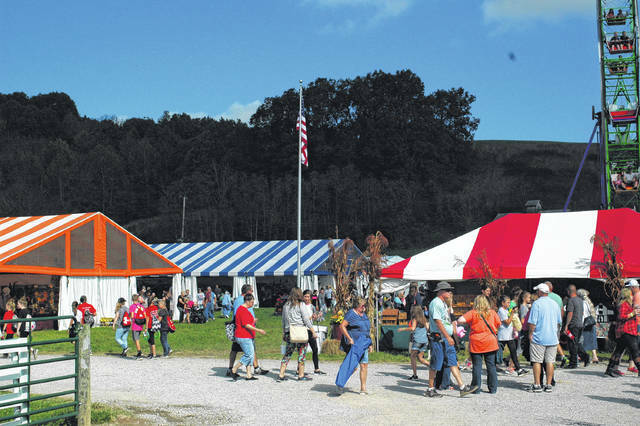 All of the perennial favorites are back, including apple butter and apple cider, kettle popcorn, handcrafted goods, kettle beans, and many other foods and crafts are available in the classic striped tents. Many displays are back, showing off chainsaw carving, clogging on the stage, and the favorite of many younger patrons – the Great Lakes Logging Show. The music is still as strong as ever, making available a wide variety of country and bluegrass throughout the weekend. The Rarely Heard will be back again this year, bringing their local blend of bluegrass. While this years’ festival certainly brings some new changes, it also carries the traditions that make the Farm Festival unique, being down on the farm. 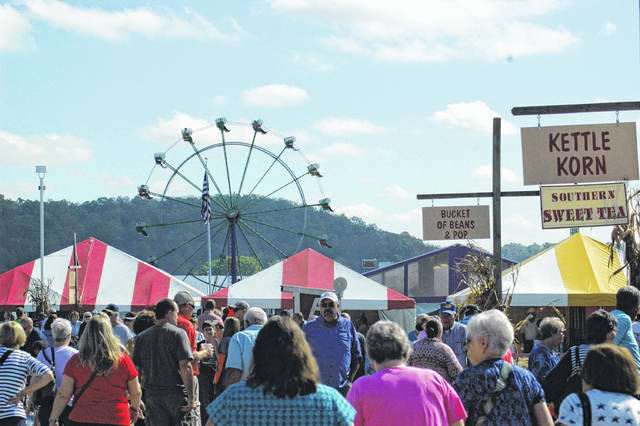 The Bob Evans Farm Festival continues through Sunday.